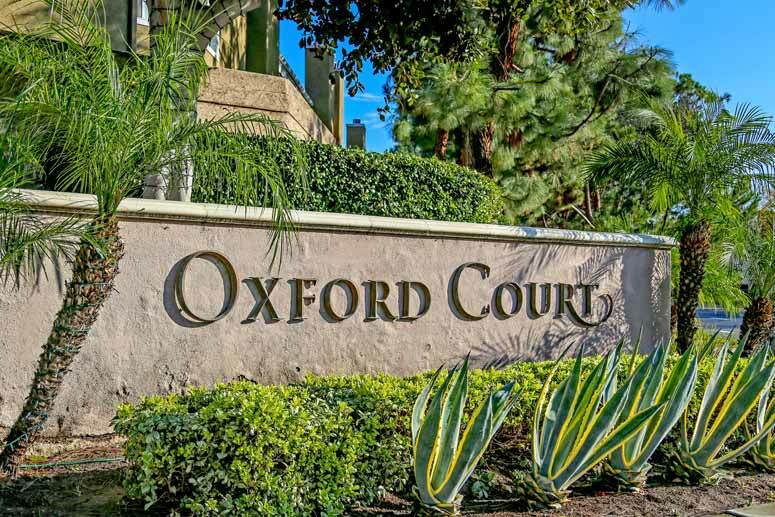 Oxford Court is an exclusive gated neighborhood in the University Town Center. Select condos have vaulted ceilings, open kitchen and living room area and outdoor living spaces. The community is located across from the University Center which has a large number of small restaurants and shopping. From this location there are multiple walking and biking trails with close proximity to the University of California Irvine Campus. These are ideal for college students and first time home buyers due to the low price point and close proximity to many activities in the central Irvine area. For more information on Oxford Court townhouses please contact us today.